While you can never have enough crisp, delicious fruit, it can be difficult to eat your way through an abundant harvest before it goes bad. Fortunately, there are many ways to use and preserve produce that help you cut down on waste and enjoy fresh fruit long after picking season is over. A great way to put your ripe fruit surplus to use is by baking with it. While classic ripe-fruit staples like banana bread and blueberry muffins might initially come to mind, don't be afraid to think outside the box when crafting your fruit-filled confections. All types of fruit - from cherries to apples to citrus - taste delicious when incorporated into breads, scones, pies, cookies, cakes and tarts. Don't worry about your fruit surplus turning into a baked good surplus - these treats can last for months when preserved using The FoodSaver® FM5460 2-in-1 Food Preservation System. Simply store the food in the vacuum seal bags, seal and freeze. Whenever you're looking for a quick breakfast, dessert or snack, simply defrost or heat up your pastries and enjoy. By preserving excess fruit, you can save money, cut down on waste and enjoy delicious homemade treats. Jelly: Jelly is essentially fruit gel, as all other aspects of fresh fruit - like pulp and seeds - are strained out. Jellies have a higher concentration of fruit juice than other preserves, so they provide fruit taste without fruit texture. Jam: Jams aren't strained, which means they contain chunky pieces of real, delicious fruit that's been boiled in water and sugar. 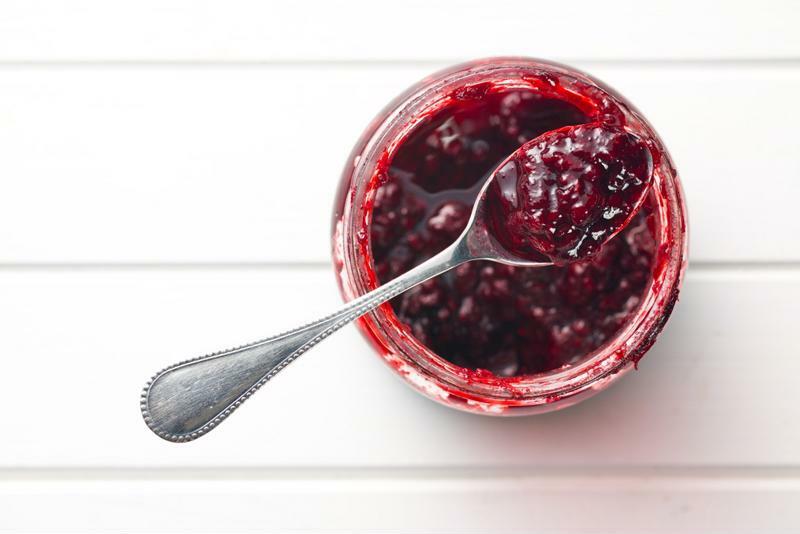 When you make jam using fruit with both low and high levels of pectin, it typically settles into a more jelly-like consistency, however. Marmalade: This type of preserve is made exclusively from citrus. Marmalade is made like a jam and includes the citrus rind in its process, which gives the spread both sweet and bitter flavors. Whichever type of preserve you choose to make, keep it fresh by sealing your jars with The FoodSaver® FM5460 2-in-1 Food Preservation System. Freeze your ripe fruit surplus and turn it into the gift that keeps on giving. Freezing excess fruit is one of the best ways to preserve it without sacrificing freshness. Simply cut your fruit into chunks, store in zipper bags and seal the bags using The FoodSaver® FM5460 2-in-1 Food Preservation System. The possibilities are endless when it comes to using frozen fruit in food and beverages. Upgrade your next party by serving cocktails with muddled frozen berries and non-alcoholic beverages infused with frozen fruit. Whip up a batch of unparalleled sangria using frozen peaches, or offer frozen strawberries in place of ice cubes. Frozen fruit can also be heated up and used as a delicious, natural topping for pancakes, ice cream, oatmeal, cereal and cakes. Combined with yogurt, protein and your milk of choice, frozen fruit is also the perfect centerpiece for healthy, nourishing smoothie. If you're always on the go, store blender-ready portions of mixed fruit using The FoodSaver® FM5460 2-in-1 Food Preservation System. When you're short on time, toss the contents of each bag into your processor with the other ingredients, blend and go.